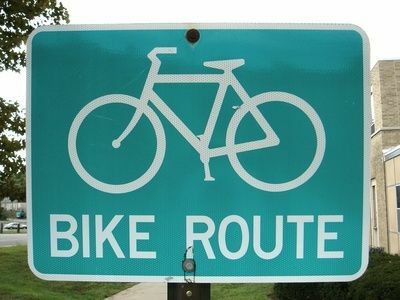 Plan your ride with a map or start cycling and see where it takes you? The way I approach a ride depends on how and where I’m riding. If I’m riding with my partner and our two boys we stick to safe, familiar paths and cycleways. If I’m riding on my own, I usually stick to bike paths, cycleways or safe, quiet streets but I can be a bit more adventurous but I’m always concerned about cars. Here in Sydney, it’s unfortunate, but cyclists aren’t looked upon very favourably. I’ll write more on this in an upcoming post, but you don’t want to mix too much with cranky drivers who have usually fought their way through congested streets and the sight of a bike rider often fills them with rage at the idea of a hippe on a bike who hasn’t paid their taxes and therefore doesn’t have a right to be taking up lane space and slowing them down. There are some really bike friendly, considerate drivers. But it has to be said, there are some unenlightened drivers who think that cyclists don’t pay for the roads and don’t belong on them. Never mind that in a city the size of Sydney you very often need a car so many cyclists also own cars and do pay their road and vehicle taxes. Needless to say, cyclists have a right to ride anyway. I recently purchased a great little book called WheretoRide Sydney: Best Cycling in City and Suburbs by Simon Hayes and I can’t wait to try out some more rides outside of our area. I do tend to think that I’m lucky to live along the Cooks River cycleway in Sydney so I can ride down to the beach or out the Homebush bay for swimming and picnics the other direction. I’m hoping to get some inspiration for other rides around the city and beyond with a bit of inside knowledge before we take our trailer and boys out riding in other areas. Each ride has a map, ride log, gradiant/terrian details and description of the ride. Our trailer fits the two boys side-by-side but is narrow enough to fit in the cycleways and paths so we’re not too restricted in where we can cycle. The only real obstacle can be stairs and bollards in and out of paths. Ironically, the path at the end of our street to get down near the cycleway is the most difficult part of getting out to our ride. As I try some new rides, I’ll post some blogs with pictures to share here and report back on what I find. Do you plan your ride? How do you plan it? I'm a bike rider in Sydney, Australia. I commute to work on my bike and ride on the weekends. I have another blog on life and other disasters at paleink.wordpress.com. You can drop me a line at PaleInkBlog[at]gmail[dot]com. Do you ride with the two-fingered salute? Looking for a cycling club? All text copyright to the author of the blog Ros Page ©. All images copyright to Ros Page unless stated in the credit. Images used under Creative Commons where stated. See creativecommons.org for more on how to publish and re-use. Please don't copy any text or images without authorisation.